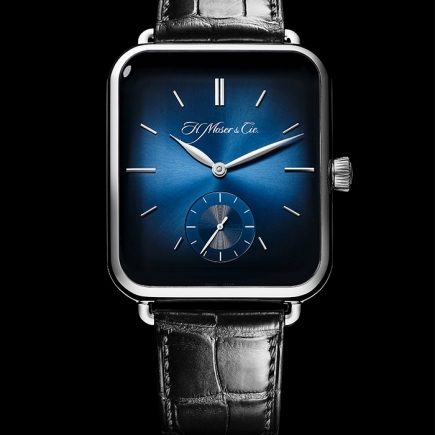 H Moser & Cie | 19'000 € Tax inc. 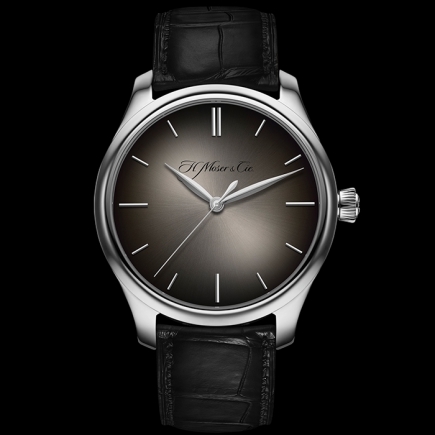 Founded in Saint Petersburg in 1828, the origins of H. Moser & Cie. are deeply rooted in Russian culture. 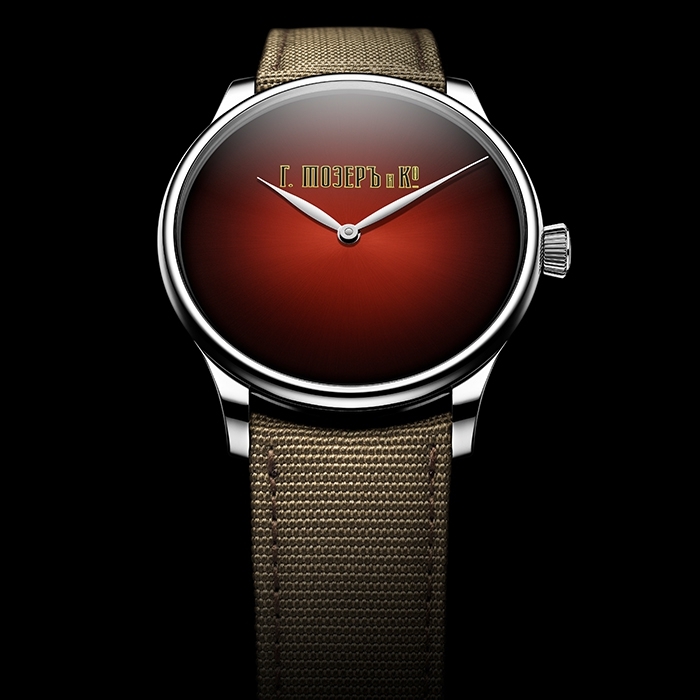 To mark the centenary of the October Revolution, which led to the nationalisation of the Swiss watchmaker, H. Moser & Cie. returns to its origins home with a limited edition, the Venturer XL Stoletniy Krasniy (Centennial Red). This piece showcases the iconic red of Russia, "krasniy", a word which shares its roots with "beautiful" ("krasiviy"). 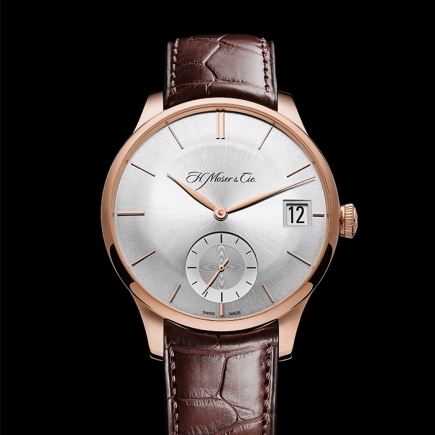 This model acts as a link between H. Moser & Cie. as it was in the past and as it is now. 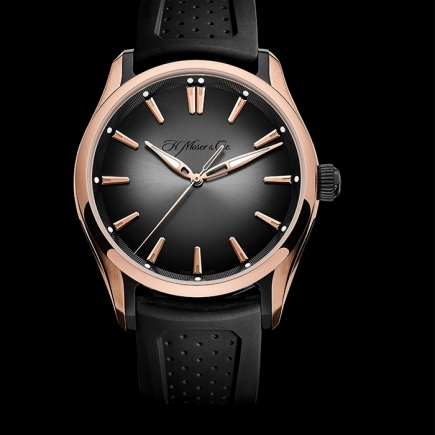 It brings together the style of 1917 Russia with the inimitable aesthetic codes of today’s H. Moser watches. It certainly is a beautiful return for the brand to its origins, where it was the height of success. Heinrich Moser founded his eponymous company in Saint Petersburg in 1828. 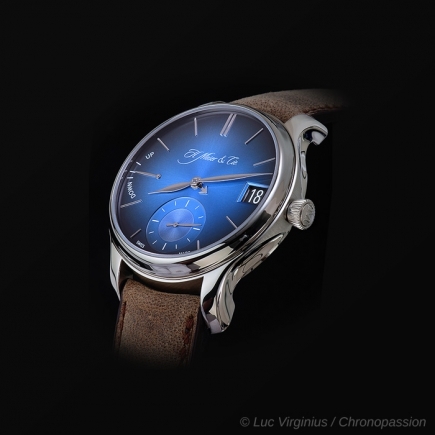 This visionary, the latest in a long line of family watchmakers, started with one ambition: to create exceptional watches by showcasing high-quality craftsmanship and premium components. In a few short years, Heinrich Moser was selling his prestigious watches, known for their quality and elegance, in his own stores in St. Petersburg, Moscow, Nizhny Novgorod and Kiev, and also via a network of independent retailers within the Russian Empire and along the Silk Road. He supplied the Imperial Court and the Russian army. 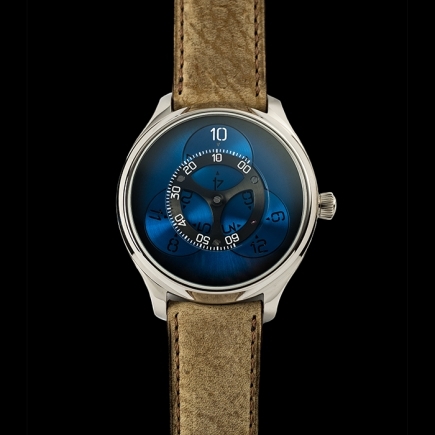 Heinrich Moser was hugely successful, with almost 500,000 watches sold in his lifetime. More than simply a name, at this time H. Moser & Cie. was a byword for quality and elegance, and for the exceptional watches it manufactured. The company's reputation was such that "Moser" became the generic Russian term for a high-quality timepiece. The brand became an integral part of Russia's heritage, as evidenced by the fact that is mentioned in the popular songs of the time, and in texts by poets and writers, including Dostoevsky. In 1874, upon the death of Heinrich Moser, his widow handed control of the Le Locle factory to Paul Girard and entrusted the Russian company to Cornelius Winterhalter, who joined forces with Octave Meylan. 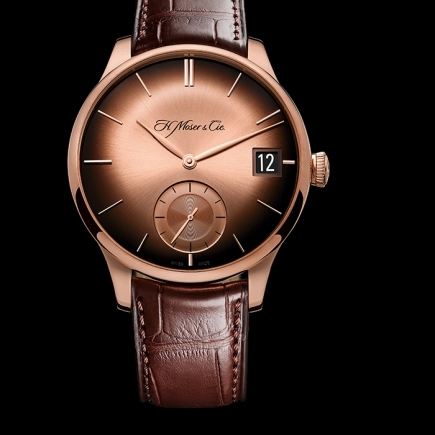 And this is where the past rushes in to meet the present, as Octave Meylan is none other than the great grandfather of Edouard Meylan, the current CEO of H. Moser & Cie. whose family purchased the company in 2012. This makes it a twofold return to its origins for H. Moser & Cie.
At the start of the twentieth century, Carl Fabergé, goldsmith to the tsars, equipped almost all of his table clocks with H. Moser movements. The 1917 October Revolution led to the nationalisation of H. Moser & Cie., which then ceased trading completely at the end of the 70s. In 2002, Roger Nicholas Balsiger, great grandson of Heinrich Moser, was instrumental in the relaunch of the brand. 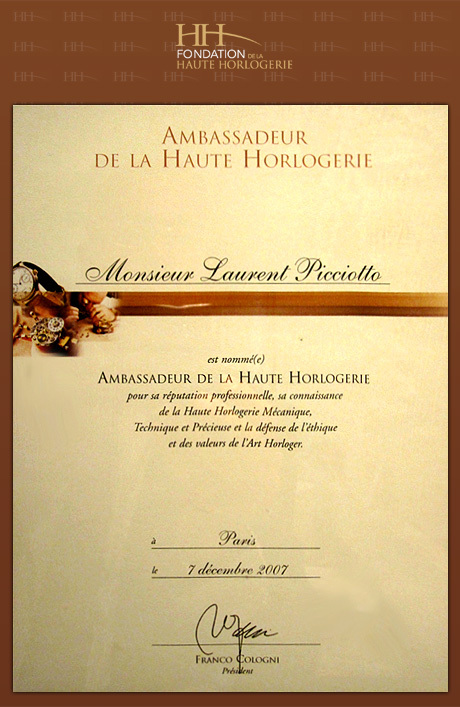 Thanks to his efforts, H. Moser & Cie. rose from the ashes, leading to the success we know today. 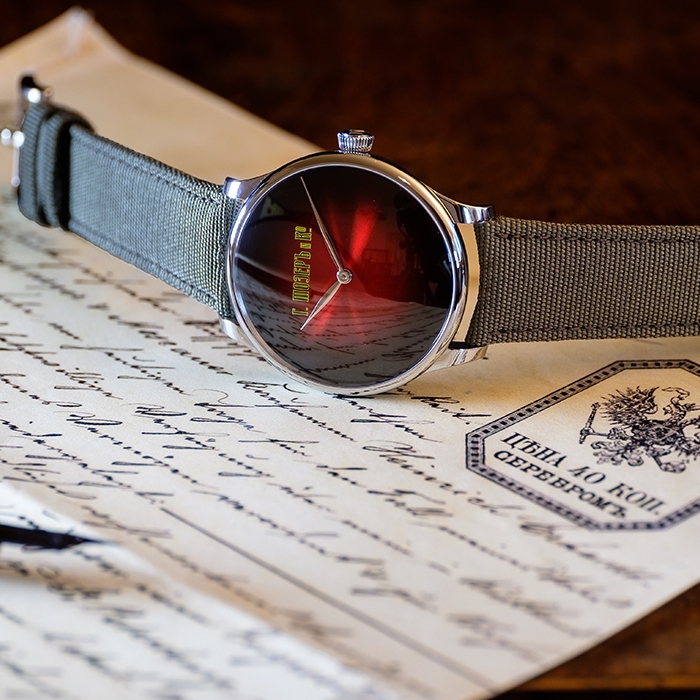 One hundred years on from the October Revolution, H. Moser & Cie. is proud to present the Venturer XL Concept Stoletniy Krasniy, available as a limited edition of just 17 pieces. 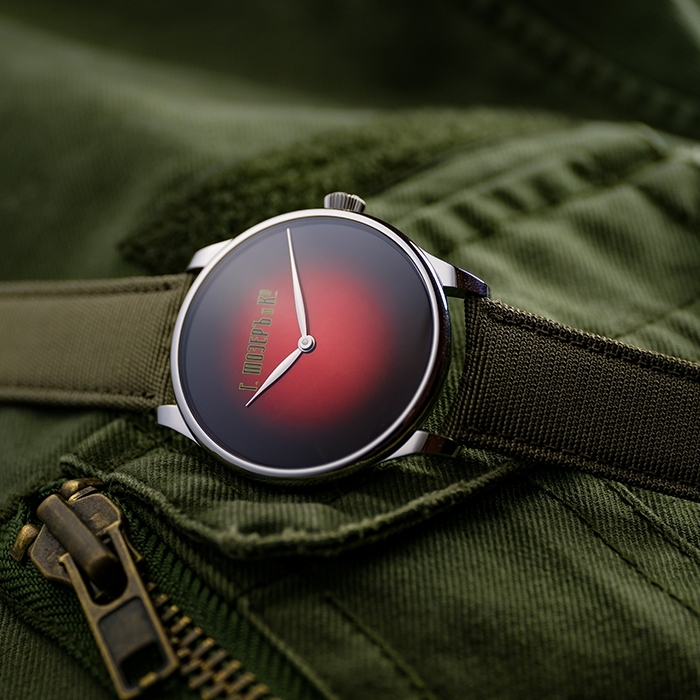 Featuring a red fumé dial, displaying the company's original Cyrillic logo, this highly symbolic watch marks the return of H.
Moser & Cie. to Russia, its original home. 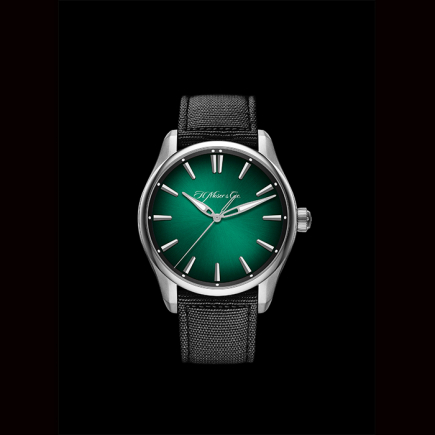 Stripped of any indices to let the beauty of the dial shine through, this model has a green Nato-style fabric strap. 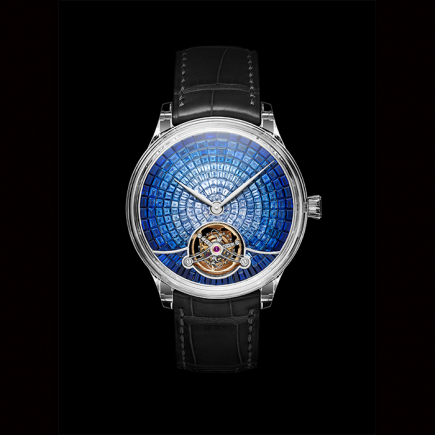 A timepiece overflowing with a powerful symbolism, and bold character.